Every term we choose pupil librarians from our Years 5 and 6. These children are instructed by the school Librarian in how a library functions and they help with running and monitoring the library during lunch times. This term our librarians have done an excellent job and to thank them they were presented at the final assembly this morning, Wednesday 20th December, with a Junior Librarian Award together with their library portraits. Your teachers will be selecting Junior Librarians for next term after the holidays so make sure you let them know if you would like to help in the Library. Reading Awards were also presented at the assembly for children whose reading this term has been exceptional. The following children have been reading consistently and exploring new authors and genres. 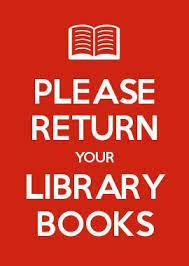 Please remember to return all your library books before the end of term. 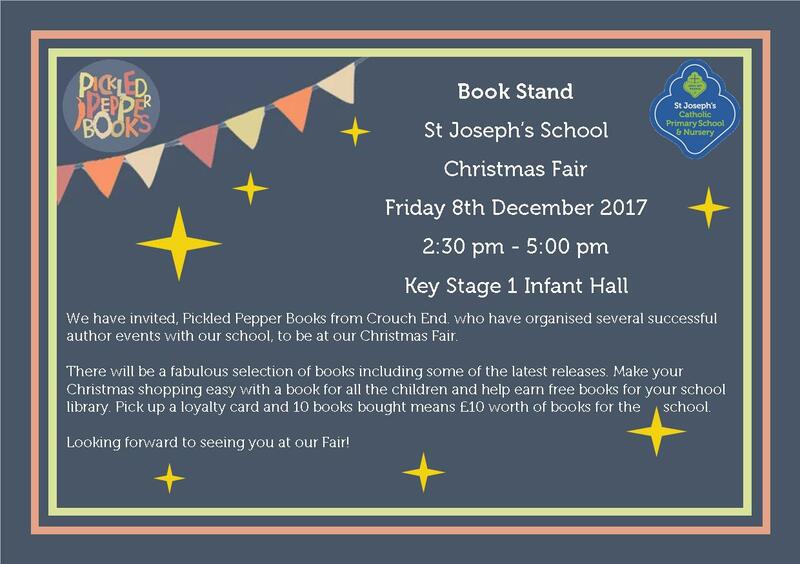 Pickled Pepper Books from Crouch End came to our Christmas Fair. They brought along a fantastic array of children’s books including the latest releases. 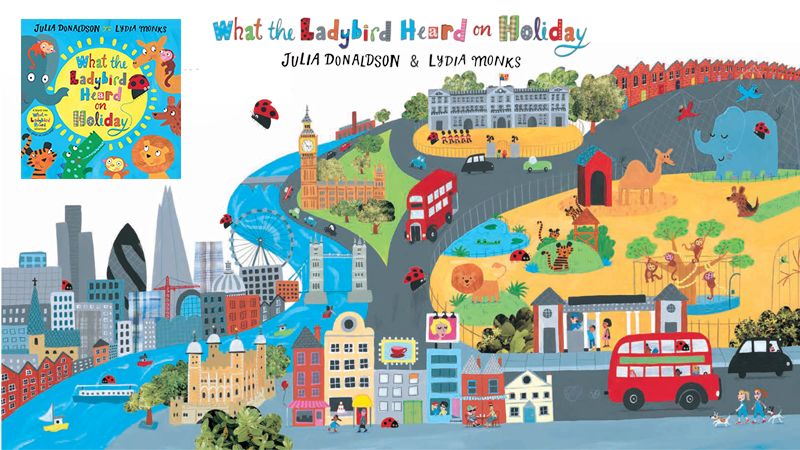 They also very kindly donated a fantastic prize for the raffle – an original print of ‘What the Ladybird Heard on Holiday’ signed by Julia Donaldson and Lydia Monks. There was great excitement with many children going home with early Christmas presents. All the books sold has earned free books for your school library. and pick one up. 10 books bought means £10 worth of books for the school. Pick up a loyalty card and 10 books bought means £10 worth of books for the school. Get your Christmas Shopping off to a flying start with books for all the children in your family!! Reception class turned on the Christmas lights in the Library this morning. They also turned over the first star in our Book-themed Advent Calendar. Day One - 'The Railway Children' by E. Nesbit - a must-read for all children.